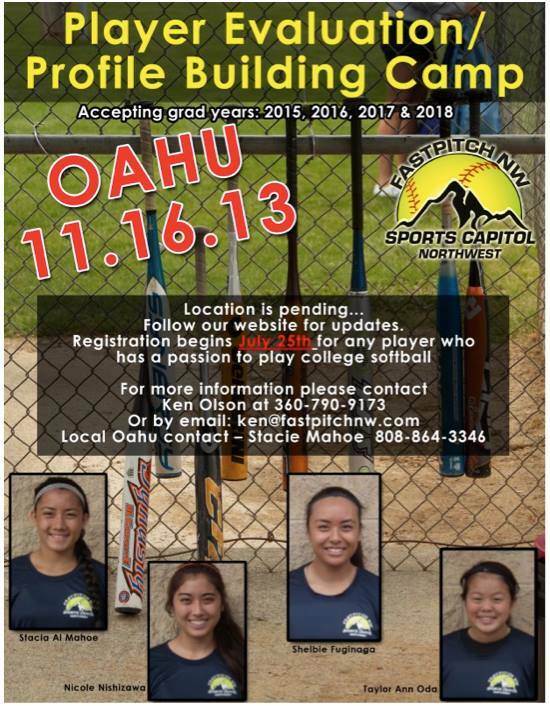 Fastpitch NW was here last year and they are coming back again. The girls from Hawaii who attended their invitational tourney over the summer had a blast and made a lot of good contacts. My daughter went up, had a ton of fun, and was getting emails and calls from colleges right after the tournament, a few of which are still in contact with her and talking about scholarship packages they can offer her! We wanted to bring this opportunity to MORE Hawaii players again this year. 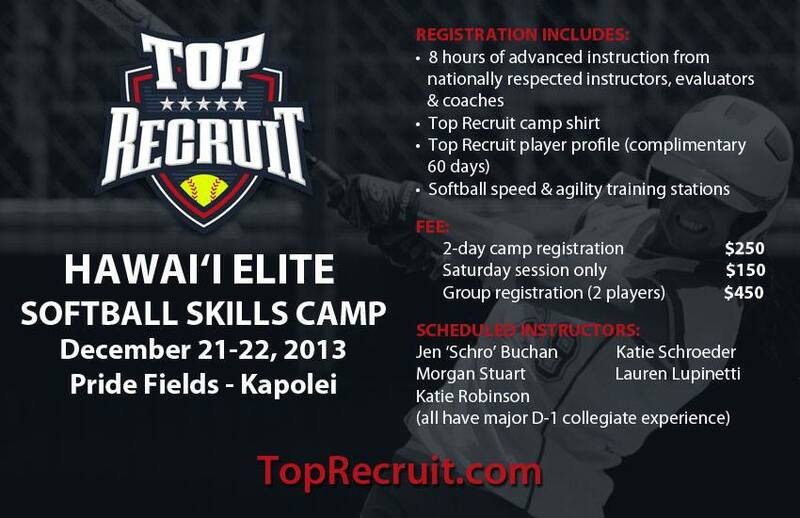 The other camp happening this winter is being put on by Top Recruit. They recently did an amazing event for the Hawaii’s youth baseball players and wanted to do something awesome for our local softball girls as well. Let’s give them a nice welcome at their camp this December! ‹ Do softball players need endurance?